The service we received at our first visit was excellent! The thoroughness of the accountant was greatly appreciated. We receive regular follow-ups to ensure that things are going smoothly and to answer any questions that we have. If you haven’t filed your taxes already, it is certainly time to consider doing so. The April 18th deadline is rapidly approaching, and there are few things worse than receiving an angry letter from the IRS. Well… there may, in fact, be nothing worse. If you’ve procrastinated up until the last minute (or if your W-2s came in a bit late), there is still some time to get your paperwork in order and head over to your local accounting expert (yes, we’re talking about ourselves). Our team of experienced professionals will get your taxes filed efficiently and effectively, ensuring you receive the greatest return possible. And not only will you help you file your returns, we’ll gladly explain new and important changes to 2018 tax laws – changes that will likely affect you in the year ahead. However, before you file your taxes for the year of 2017, it is important to note several important changes that have been made to national tax laws. Last year, congress passed the most significant piece of tax reform legislation in close to thirty years. What exactly did this piece of legislation entail? First of all, while the seven current tax brackets were retained, a number of tax rates were lowered. For example, if you fall in the 15% tax bracket, your threshold will rise from $18,650 to $19,050. All of these numbers can be quite confusing; remember, we will gladly answer any and all questions you may have. The bill also increases alternative minimum tax exemptions, meaning that the exempt income bracket will be raised (from $84,000 to $109,400 for those married filing jointly, and from $54,300 to $70,300 for single individuals). Several other changes will be made, such as changes to the health care penalty that was previously in place, and limits on deductible local taxes. Fortunately, the vast majority of individuals will not be impacted by the tax reform law. And even if you are affected, we are available and more than willing to help. Accountax goes above and beyond to make sure I understand everything there is to know when it comes to my business accounting. Accurate, reliable, thorough, these are the words that come to mind when I think about working with Accountax. 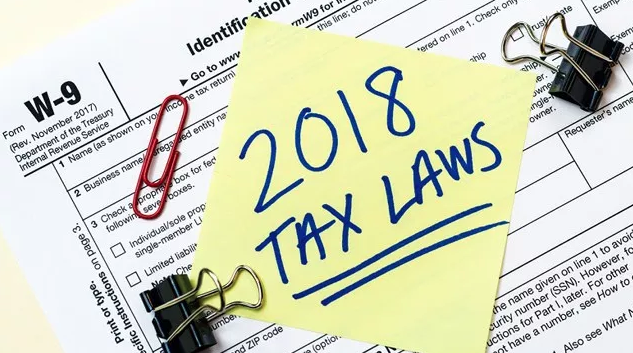 Changes to 2018 tax laws may (and more than likely will) impact you next year, however. While numerous changes have been made, there are some important alterations to keep in mind – alterations that will almost undoubtedly affect your next annual return. First of all, estate tax will double, increasing to $11.2 million per individual and $22.4 million per couple in 2018. Child tax credit will also be doubled, raising from $1000 to $2000 per qualifying child. A $500 credit will also be available for those dependents that did not receive the full $2000. Employees who actively participate in retirement plans such as 401(k) will be able to contribute slightly more – $500 more – than last year. This change raises the potential retirement contribution to $18,500. Additionally, cost-of-living adjustments will allow for those contributing to individual retirement accounts to have higher income ranges. Personal exemption has been entirely eliminated, and standard deductions will be increased (regardless of how you are filing – single, married, or as the head of household). Understanding the implications of this major tax reform can be quite difficult if you have little hands-on experience in the wonderful world of taxes. However, understanding these new laws and how they may affect your filing process and potential return is extremely important. After all, comprehending the alterations may mean the difference between maximizing your refund potential and missing out on what is essentially yours. In order to file your 2017 taxes and learn more in depth about new tax reform laws, please feel free to give us a call or stop into our local office today. Our dedicated team of experienced professionals is standing by to help you in every way they can. We look forward to speaking with you soon! Need help with your taxes? Looking to get your bookkeeping and payroll optimized? Just want to say “Hi”? Fill out the form below and an accounting expert from Accountax will reach out to you. What is Payroll Accounting, and Why is it Important?